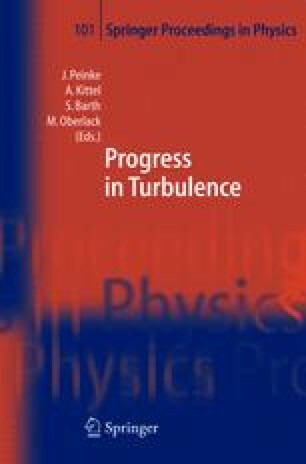 By using small deviations from the stationary solution of the Navier-Stokes equation, the problem of linear instability of a plane submerged subsonic jet is considered. In the approximation of weak divergence of the jet, this problem reduces to a linear not self-adjoint boundary value problem with a given behavior of the variables at large values of the transversal coordinate. The solution of this boundary value problem allow us to calculate the gain factor and the phase velocity of hydrodynamical waves as functions of frequency and of distance from the nozzle. We have found that the dependence of the gain factor on the frequency has a resonant character. As the distance from the nozzle increases, the dependence of the gain factor on the frequency becomes more narrow and the maximum of that shifts into the small frequency region. Hence, the hydrodynamical waves become more and more coherent. The obtained results are in good agreement with experimental data.